30th March 1936 from the India Office The department of the British Government to which the Government of India reported between 1858 and 1947. The successor to the Court of Directors. , London. to refer to Admiralty letter of 29th June, 1935, No. N.L. Government of India's Letter of 28th February, No.F. Dhabi, Ajman, Debai and the Umm-al-Qaiwain)' 1 . 3. 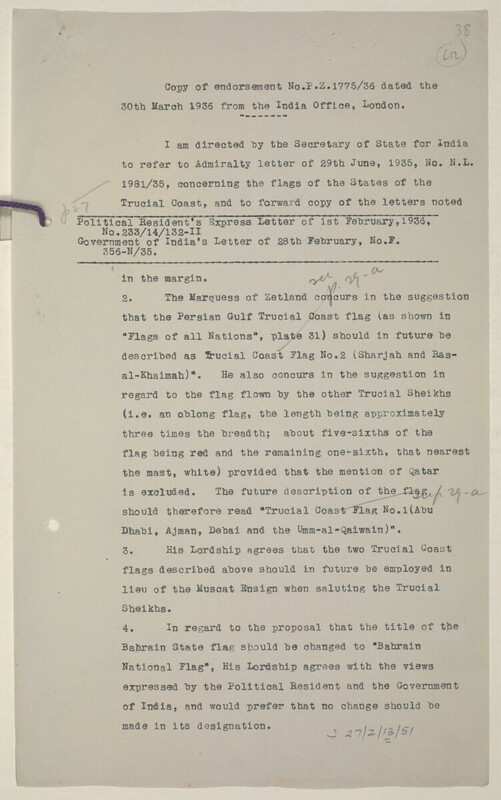 His Lordship agrees that the two Trucial Coast The historic term used by the British to refer to the Gulf coast of Trucial Oman, now called United Arab Emirates.